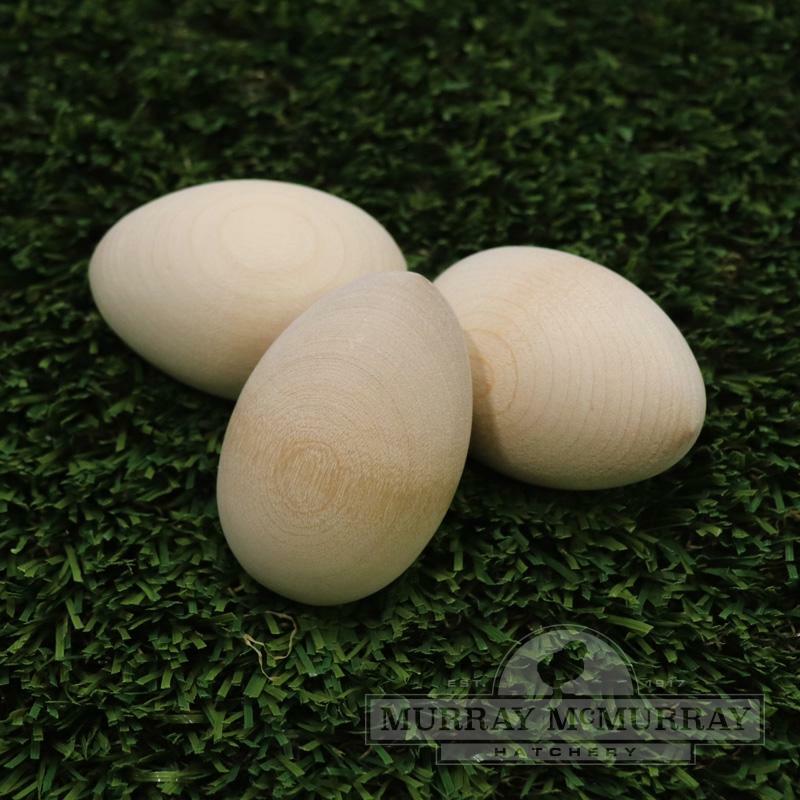 These natural colored wooden eggs are the same weight and consistency of a real chicken egg. 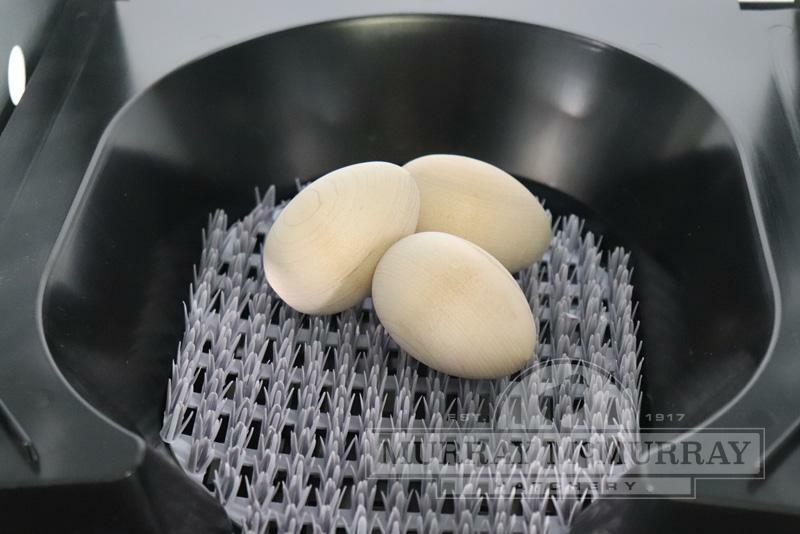 Made to lure the hen into the nest, and help stop egg breaking or egg eating habits. Sold in packs of 12. Each egg is 2.25" tall. What type of wood is used? Is this product completely natural wood or is there some type of coating on it? 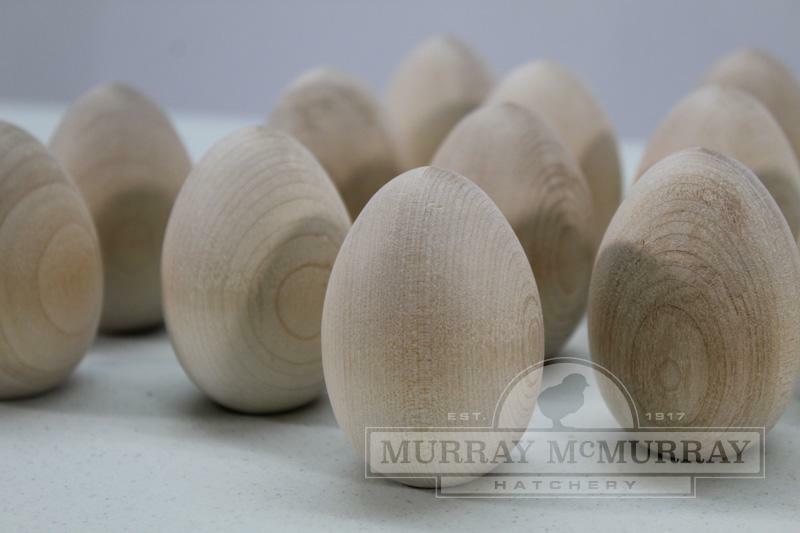 The wooden nest eggs are made from birch and maple hardwood. They are all-natural wood and non-coated.